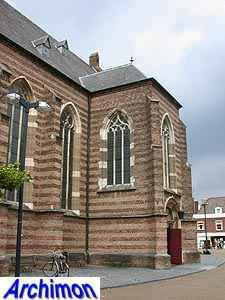 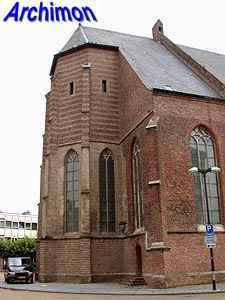 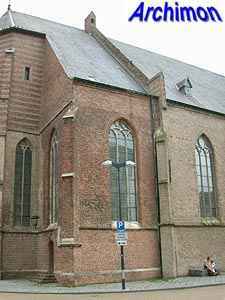 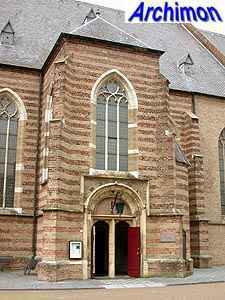 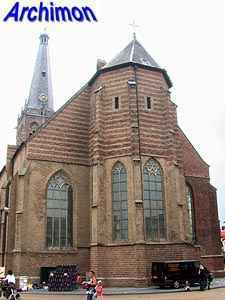 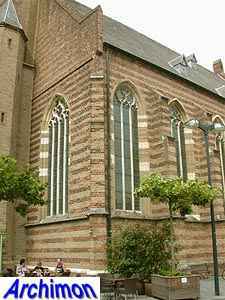 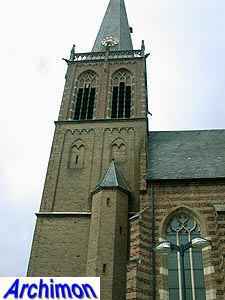 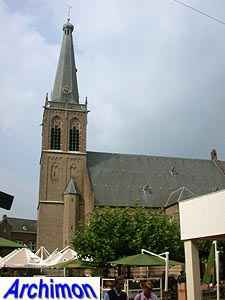 The reformed church of Doetinchem was badly damaged in 1945, in the closing months of World War Two. 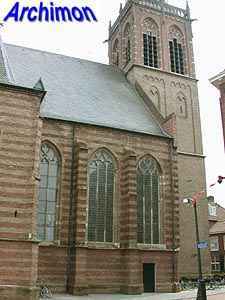 After the war the church was restored, while some of its parts were rebuilt. 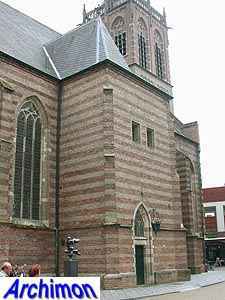 The church dates back to c. 1200, when a Romanesque tower was built, but today its oldest part is probably the choir, which was built in the 14th century. 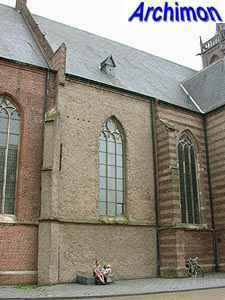 This choir is remarkably narrow compared to the nave and was built of tuff. 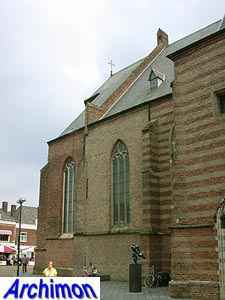 In the early- or mid-15th century a transept and a pseudo-basilican nave were built. 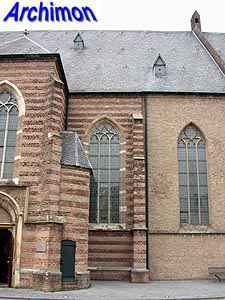 After the church had been damaged by fire in 1527 it was rebuilt as a hall-church, with wide side-aisles that flanked the tower. 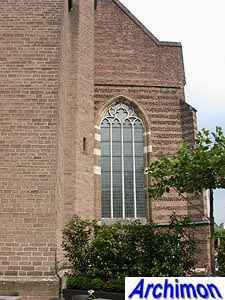 The transept became part of the nave. 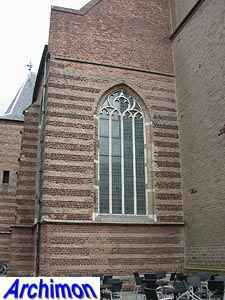 New parts were built using alternating layers of tuff and brick, including two portals on either side of the nave. 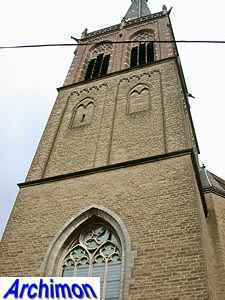 The originally Romanesque tower was heightened in Gothic style. 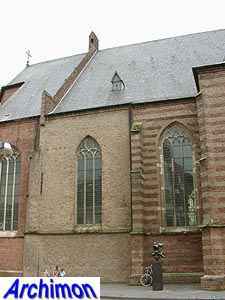 Also the choir was heightened, which made it possible to cover the three aisles of the nave with a single roof. 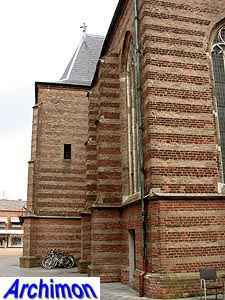 Rectangular chapels were built on both sides of the choir. 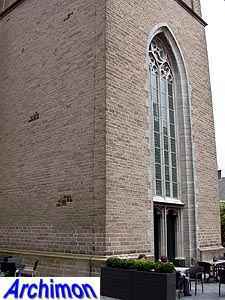 On March the 21st of 1945 the church was bombed. 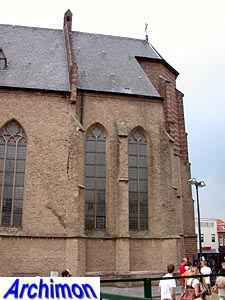 The original tower collapsed and the roofs and vaults were lost. 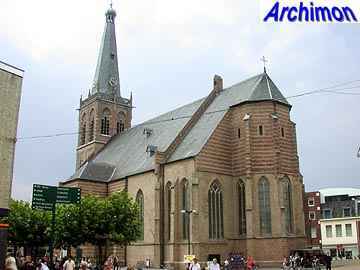 After the war the church was restored by J.G.A. 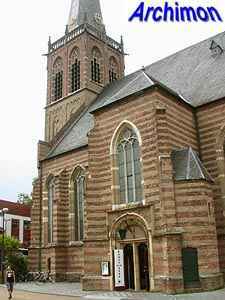 Heineman. 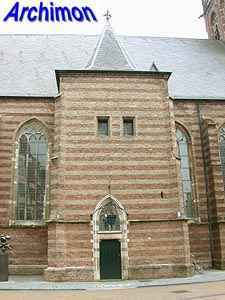 The square space where the tower had been became part of the nave. 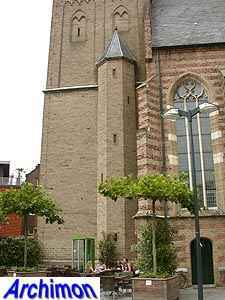 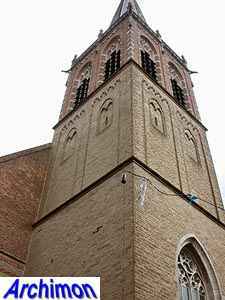 Instead, a copy of the old tower was built at the front of the church in 1961-1963.